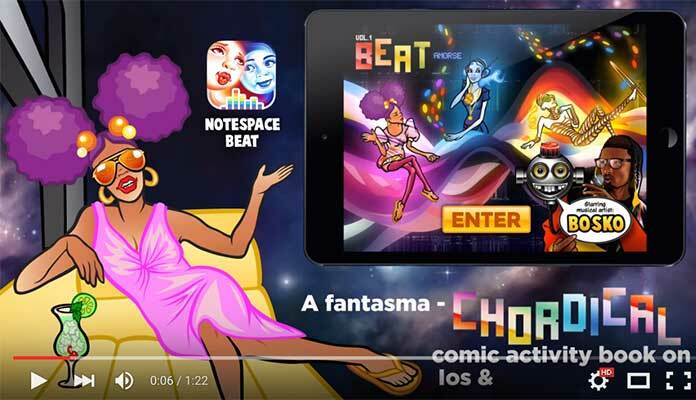 This commercial for Notespace I art directed and produced with the Future Farmers team. 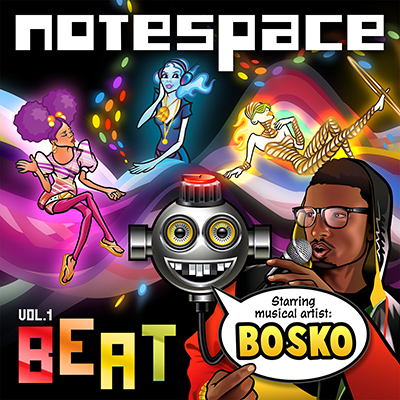 Music by Bosko. 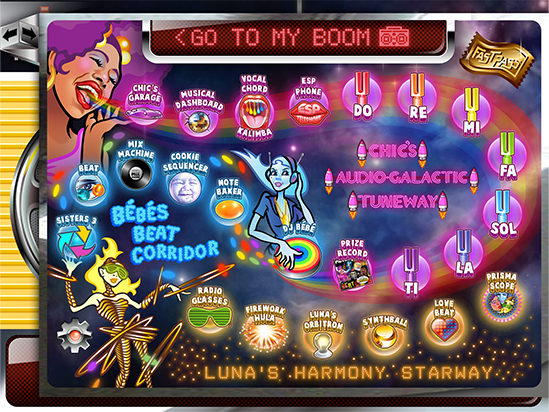 An example of one of the many banner ads I made for this project. 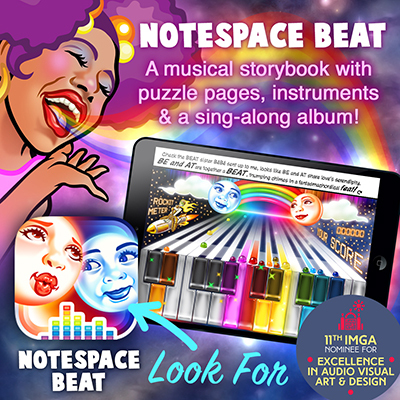 Click on the banner to check out Notespace Beat on the Apple store! This is the soundtrack album cover. 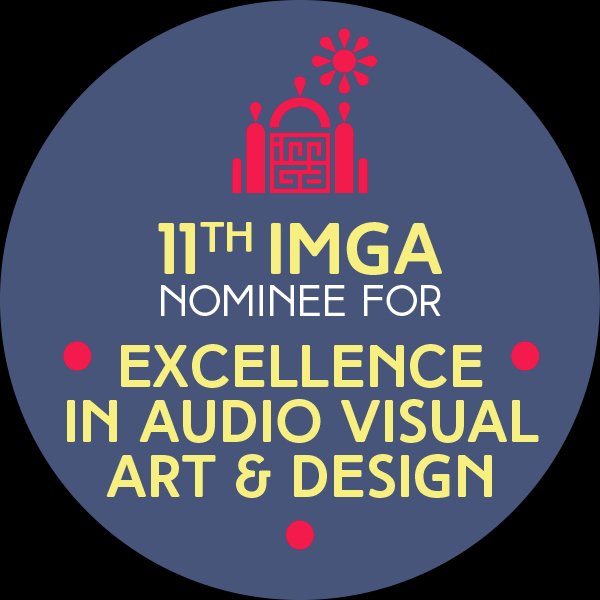 Click on the pic to listen to clips in AMAZON! 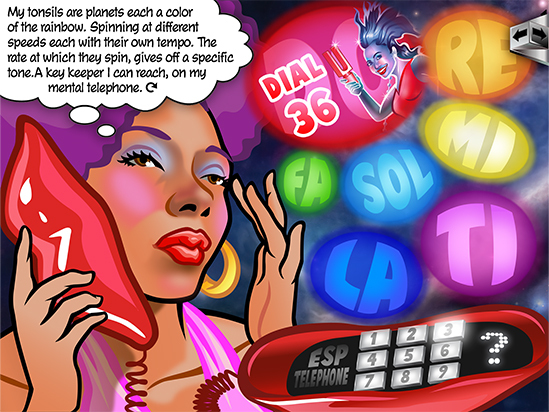 Wanting a fun nonlinear approach I made the planets be navigable by dialing them on Chic's ESP telephone. You tap on the planet to get the number. When the player wins a tuning fork they also get a beatboxing record. 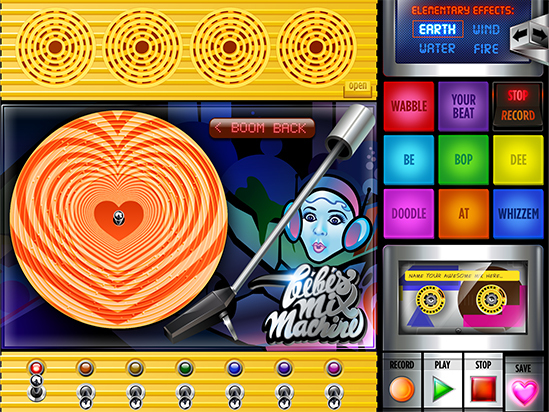 This game you could record music with your sampler and records. 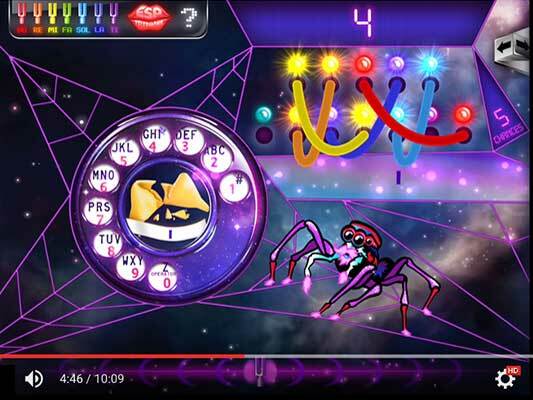 This game is an introduction to learning to play music through listening. 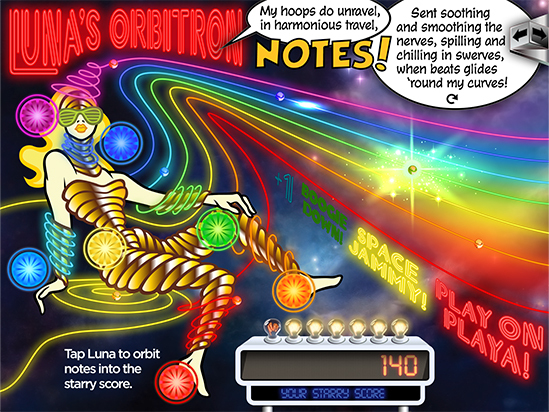 The note balls come in from the left and then you tap the notes to explode them on Luna. 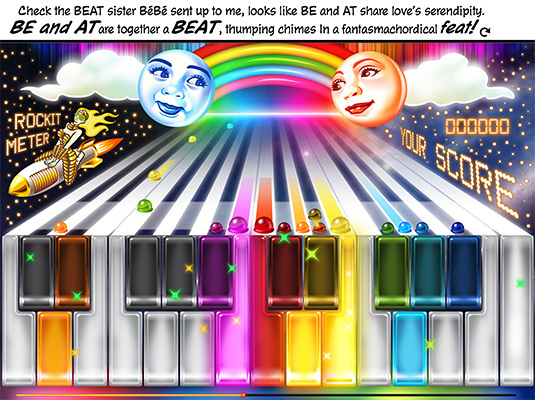 A fun piano game where you have to tap the keys as they light up to play along with the music. 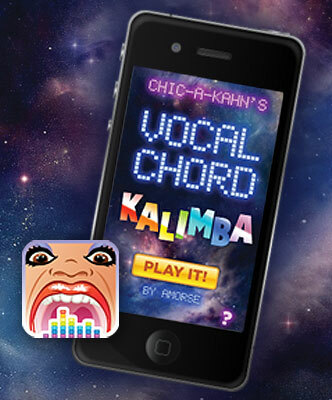 Chic-A-Kahn's Vocal Chord Kalimba game was the first experiment in a funny take on playing uvula as a Kalimba. 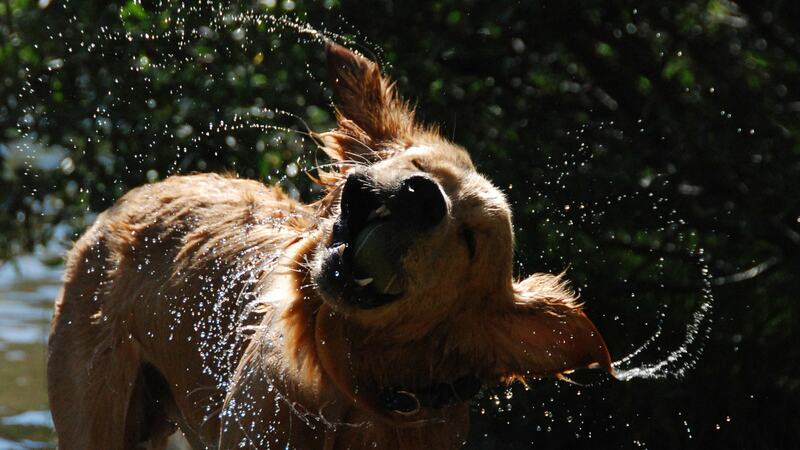 Click on the image to check it out on the Apple store!